There is no better place to contemplate and embody the rhythms of deep time than the Appalachian Trail, where we were reminded of our transient insignificance with every climb through the densely wooded moraine. Humans are designed to be walkers; walking moves through time and space at a speed we can handle. The lethal anthropocene remakes us as sedentary finger twitchers, and the DP staff is not excluded from this fate. Yet over the past weeks, we definitely reconnected to the earth and to the night sky, and we return to our desks lighter in both flesh and spirit – released from old fears, and in awe of our larger story. 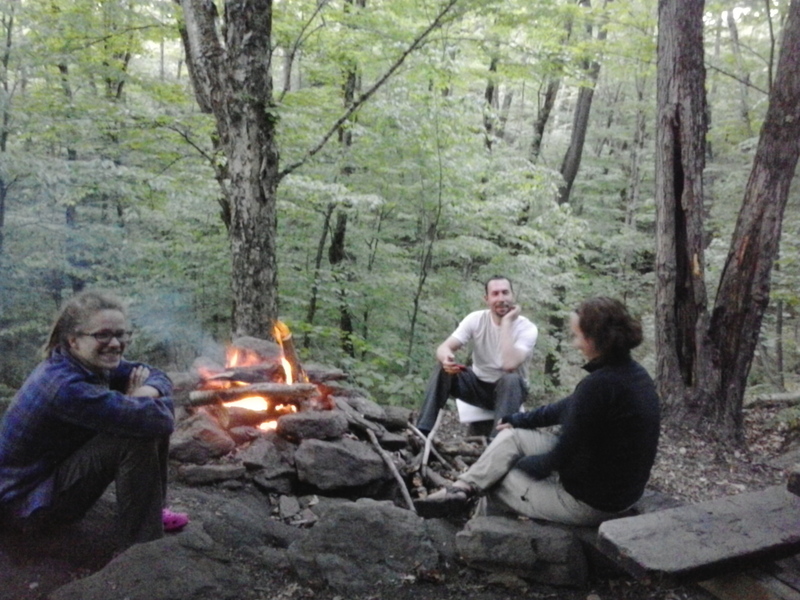 Along the way we connected to that remarkable community of fellow walkers, with trail names such as Triple Canopy, Firefly, Honey Badger, Fusion and Goat Girl. Their resilience and open embrace of life revives our conviction that there is a viable path towards the future, if only we can find the courage and the will to slow down, breathe deeply and love every step, even when the toes are screaming. After a nasty brush with death while hunting large fellow mammals, still fairly early in the unfolding drama of the Pequod, Ishmael experiences a moment of profound philosophical immersion: There are certain queer times and occasions in this strange mixed affair we call life when a man takes this whole universe for a vast practical joke, though the wit thereof he but dimly discerns, and more than suspects that the joke is at nobody’s expense but his own. Most acute at times of trial and tribulation, such a wayward mood gives birth to a free and easy sort of genial, desperado philosophy. In this dissonant coupling of the words genial and desperado by way of a comma, Melville captures an essential element, possibly the most essential element, of a distinctly American philosophy that brings complex undertones to the simple Pilgrim hymns of our Shining City On A Hill, undertones of the sort that might produce a death metal soundtrack for the rock & rolling Humvees of Operation Enduring Freedom. In an act of sober pragmatism, Ishmael draws up his Last Will and Testament, inviting Queequeg to serve as his lawyer, executor and legatee. Task accomplished, he then looks around himself with deep contentment, like a quiet ghost with a clean conscience. His earthly affairs in order, he is now fully prepared for a cool, collected dive at death and destruction, and the devil fetch the hindmost. Internally complex and contingent, desperado philosophy can resolve itself in a wide variety of ways, depending on the character of individuals and the circumstances that confront them. Ishmael, for one, comes to embody the brave existential stoicism of a skeptical believer, someone with doubts of all things earthly, and intuitions of some things heavenly, as expressed in those many passages where Melville begins to sound like Kierkegaard. Yet inside a different bag of bones, driven by a different ethos and influenced by different historical conditions, desperado philosophy may well express itself as the most perverse sort of nihilism, a murderous cynicism that uses the senseless absurdity of the cosmos as a cover. 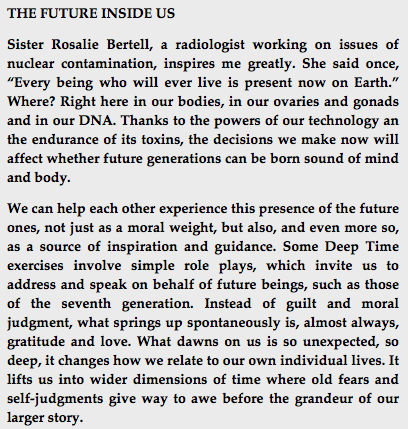 That more nihilistic side is certainly alive and well in America as we enter the year 2012. Consider for example what for my eyes offers the emblematic image for the year 2011 in America. A pear shaped man named John Pike, employed as a campus police officer and dressed in riot gear, casually sprays a row of young men and women who are dressed like college students prepared for a rainy day. Indeed, they are students at UC Davis, and they are sitting across a campus pathway in peaceful protest, as part of a blooming Occupy movement. Mr. Pike, honored in the past for brave and selfless acts, holds the red can in a way that resembles a suburban homeowner coating his plants with fungicide. Yet this particular can contains Oleoresin Capsicum, commonly known as pepper spray. Pepper spray is classified as a lachrymatory agent, that is, it will make you cry, sometimes to the point of blindness. The pear shaped Mr. Pike believes in the righteousness of his brutality. Pathways must be kept clear, and clean, as clear and clean as the conscience of a quiet ghost. Let us now summon another emblematic character into the scene; Jon Corzine, former governor of New Jersey, former US senator; and a former CEO at Goldman Sachs. Yet in October 2011, Mr. Corzine found himself at the head of a relatively obscure financial chop shop named MF Global Holdings. The “MF” was an alphabetic memory trace for a former corporate incarnation called Man Financial. Among the global holdings, Mr. Corzine had purchased large slag heaps of toxic derivatives linked to bonds issued by insolvent European governments, such as Greece. A veteran if somewhat rusty bond trader himself, Mr. Corzine understood that these derivative instruments might soon create a Mother Freaking whirlpool into which his Malignant Fantasy would disappear without a trace. His teams of young, eager traders, looking forward to their XXL Christmas bonuses, all saw the same patterns on their screens, and they knew what Miserable Fate awaited them. But wait, thought Mr. Corzine – why not simply pledge the money from our customer accounts, to cover our haunches from the invasive probes of margin clerks until the crisis is past, devil fetch the hindmost? If it all goes as pear shaped as Mr. Pike, no worries and no tears: these transactions are far too complex for mere lawyers to comprehend. 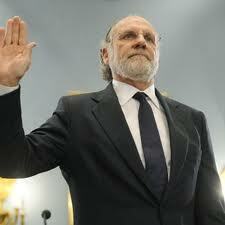 Such thinking qualifies Mr. Corzine as an exemplary Man For Our Times.